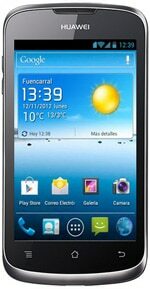 The Huawei Ascend G300 is an Android 2.3 smartphone that is available in NFC and non-NFC versions. The U8815N variant comes with NFC, while the U8815 does not. The G300 was launched at the Mobile World Congress in 2012 and started shipping soon afterwards, reaching the UK in April that year. Thanks to francman for the tip-off.